Aleister Black and Zelina Vega are currently enjoying their honeymoon. The two were married a while ago, but due to their WWE schedules, they were unable to find the time to get away together. Now that Black is on the main roster that can apparently be arranged. The happy couple posted Instagram live videos while getting some new ink. They seemed to be enjoying their short break from WWE. Black confirmed that he will be at RAW this week, so don’t worry about him not being around for television. One fan pointed out to Zelina Vega that her finger tattoo looks like the moon on Aleister Black’s face and she agreed. She got that finger ink touched up, but her husband got another full tattoo on his leg. The two seemed right at home at the tattoo parlor as they had a great time with one of Aleister Black’s best friends. 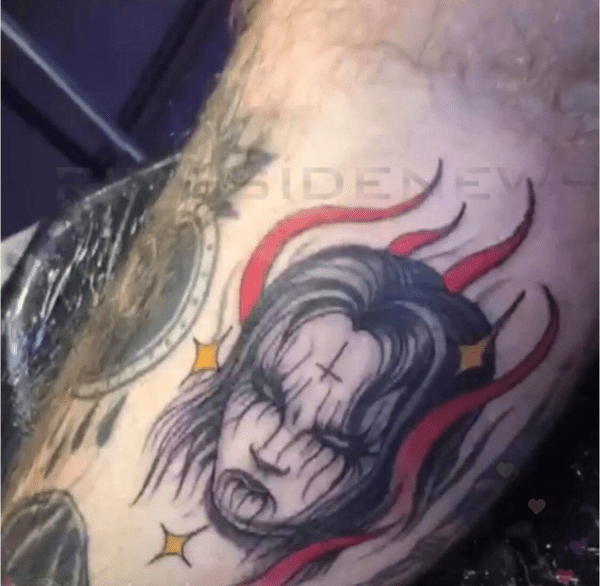 The new ink Aleister got might be in a strategic place where his gear will cover it up, but you can check out an image of his new ink below. This is a capture of Zelina Vega’s finger tattoo before she got it touched up.